Have you already heard about the Deichmann Blogger Collection by blogger Carolin Blomst? The shoes will be available online by Monday and I really hope to be able to get my hands on the Valentino inspired kitten heels! 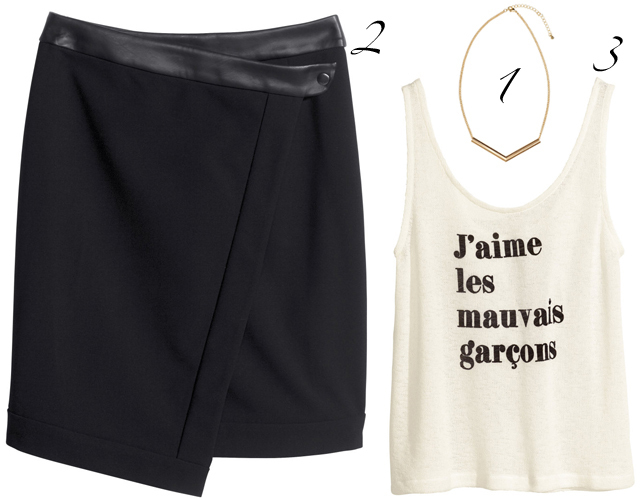 Furthermore I think I need to check my local H&M again as I totally adore the ballet flats, wrap skirt and "J'aime les mauvais garcons" ("I love bad boys") shirt. What's on your wish list this month? 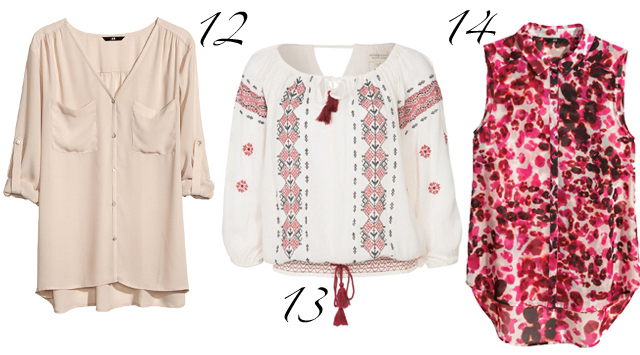 The blouse in 13 is in my wishlist. I will buy it this month ! The first top is great too ! Lovely selection. Im loving the H&M flats! 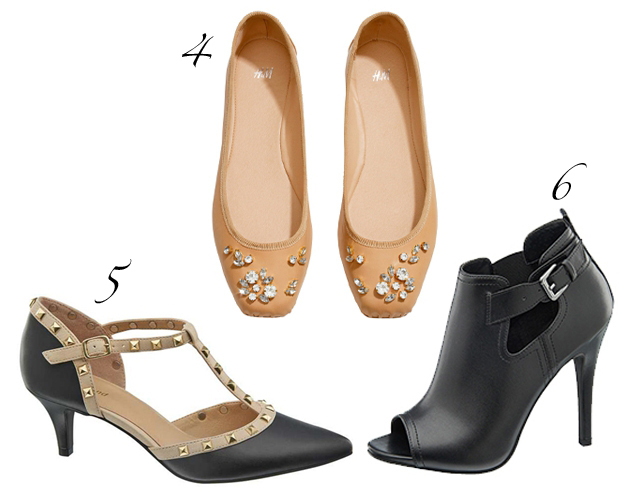 Ooooh totally loving number 6 on your list, gorgeous heels! love all of these items. 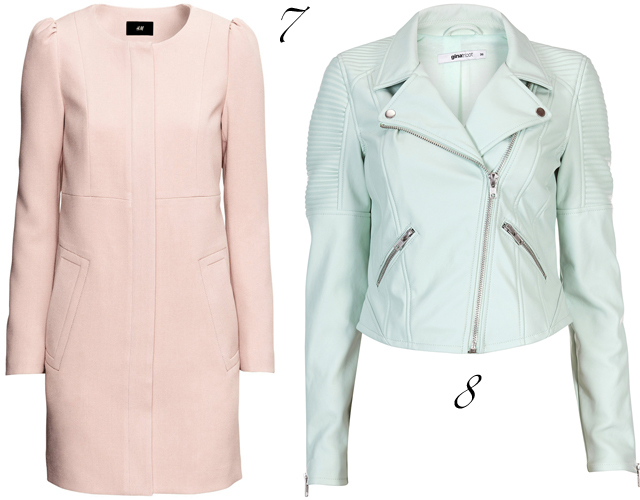 the pastel leather jacket and peep toe heels arfe to die for! Den schwarzen Rock finde ich richtig toll! So in love with that pink coat, so cute! Great outfit!!! Like H&M The New Icons pattern blazer! Lovely picks! I like the black skirt. I can't wait to go spring clothes shopping. Lovely picks. The shoes are all gorgeous. Can't wait for Spring to come. i love that light blue leather jacket! Loving the H&M wrap skirt! Great pics for March!